BOPIRA, Mozambique-- A battered notebook lists the people still alive in this village after a devastating cyclone. But sip by sip, a deadly threat remains. 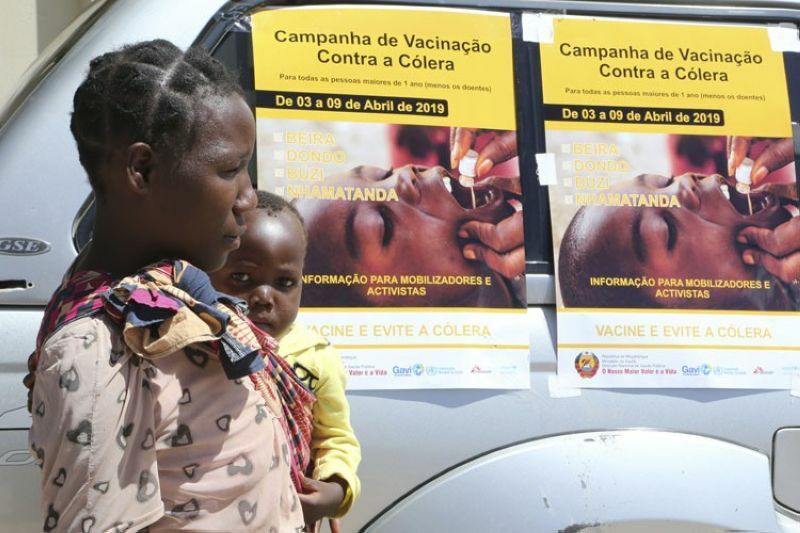 Cholera outbreak has been declared in the regional city of Beira, many of whose half-million residents live in slums, and in a few outlying communities where scores of thousands of people now huddle in displacement camps with few toilets and little clean water. Now health workers are holding their breath, encouraged by a rapid response in Beira and the restoration of running water there, though it reaches only 60 percent of the city's residents and some must defecate openly in slums.